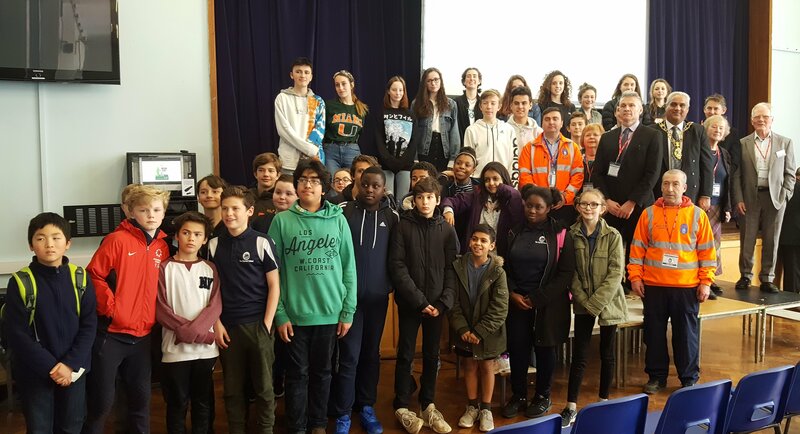 This year’s Spring Clean was officially launched on Friday 24 February at Cherwell School. Headteacher Chris Price welcomed a party including Lord Mayor Mohamed Altaf-Khan, Oxford Civic Society President Sir Hugo Brunner and OxClean’s principal organiser Rosanne Bostock. Mr Price explained how the school had made great efforts to get students and staff to collaborate on getting rid of litter from the school and the nearby area. All senior staff carry litter-pickers when they walk around the site, emphasising that dropping litter and leaving it around is unacceptable. 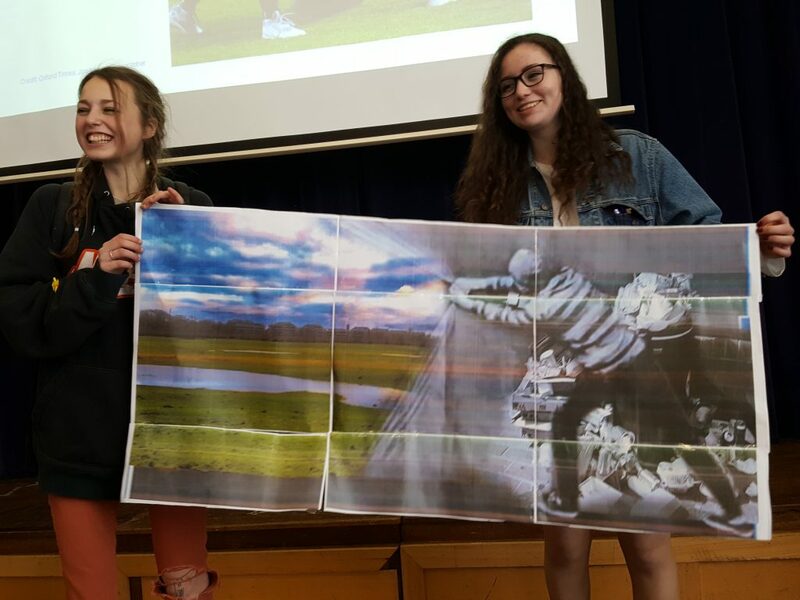 A group of art students showed a striking and energetic poster on the theme of a team effort “drawing back the curtain” of litter. Then a group of film enthusiasts showed a seven-minute video. Drone footage over the school site, an interview with the Headteacher, vox-pops from students and a re-enactment of the hazards of leaving litter all put together and edited in two weeks, impressed everyone. In short speeches the Lord Mayor, Streetscene Services Manager Doug Loveridge and the Chairman of Oxford Civic Society Peter Thompson stressed the teamwork that makes Spring Clean a success. After the close plenty of Cherwell students stayed behind for photos; a picture with the Lord Mayor seemed to be the most popular option! Spring Clean takes place over the weekend of 3 – 5 March.